In the year 2000, a small group of homeschooling parents joined together for the purpose of adding a music component to their childrens’ plans of study. These parents and their families, now a cooperative, teamed up with Mr. Donald “Doby” Dobrosky and Ms. Katherine Johnson, both notable area musicians and educators in their own right, to form the organization we know today as National Homeschool Music Ensembles, NHME. Starting with only a handful of students comprising a single wind-ensemble, NHME has grown into as many as 5 satellite locations; has added more ensembles like choir, string orchestra, and percussion ensemble; and has become an unconventional yet innovative, educational model. We successfully exported that model, our way of doing things, and our ideals across the country into several organizations with similar goals in mind. NHME is a founding member of the Michigan Home School Music Network, MHSMN. Along with the twelve other MHSMN music programs, NHME provides an instructional experience that’s become the envy of educators statewide and that’s drawn the attention of University directors looking to augment their bands and orchestras. This musical endeavor has seen over 400 students pass through its ranks in the past 18 years with many of these NHME alumni becoming leaders and professionals in their chosen fields. In 2016 with the invaluable support provided by Mr. Jack Barrett, NHME secured the acquisition of our operational home-base in Tecumseh, the former Tecumseh Grange. At NHMEs beginning, Mr. Barrett, the last Master of Grange #166, suggested holding music classes at the under-utilized Grange Halls in Southeast Michigan. Later, Jack’s suggestion and advice cemented NHME’s place within the community with the purchase of the hall. As we start a strong new year and an exciting new season at NHME, we look forward to continuing and growing our commitment to training tomorrow’s leaders today through music. NHME stands for excellence and strives to be the finest music instruction program in southeast Michigan. 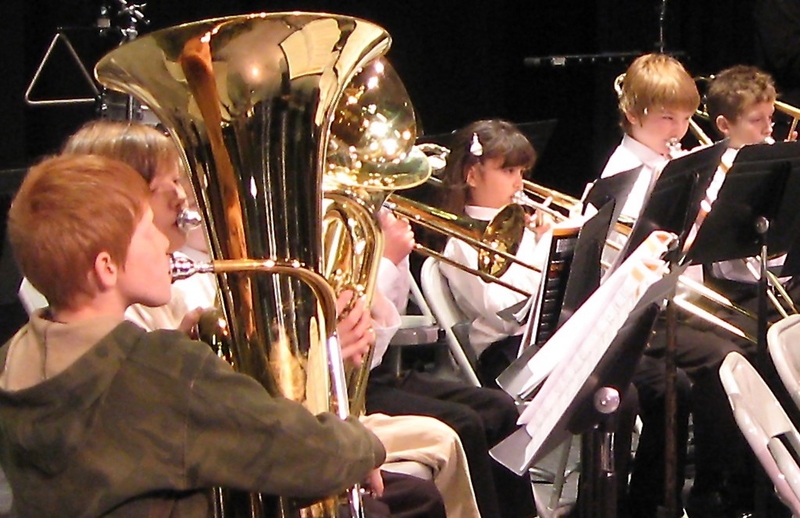 We are proud to serve the homeschool community in Lenawee, Washtenaw, and Monroe counties with a high quality and comprehensive music program. To that end, we find opportunities to participate with and play along with other College, University, and professional area ensembles. Recently, NHME partnered with the Ann Arbor Symphony Orchestra for a side-by-side concert performance (Click the picture on the left to read all about it). As a result, A2SO’s director, Mr. Arie Lipsky, has become a proponent of NHME and a frequent guest-conductor. Other guest-conductors have included Dr. John Pasquale, Director University of Michigan Marching and Athletic Bands, Mr. Wes King, Director of Bands Siena Heights University, and Mr. Jim Rice, Director of the Adrian City Band. Our joint workshops with the ensembles of higher educational instituitons have included almost all of them in the local area: Eastern, Western, Central, Wayne State, Grand Valley, Toledo, Bowling Green, Concordia, Akron, Albion, Hillsdale, Spring Arbor, and more. NHME is always on the lookout for positive musical experiences for our students. These kids can come play with us anytime! What you're doing here is nothing short of amazing [...] This group plays as well or better than any group in the area. It was a pleasure to get a chance to meet and work with such a fine group of musicians [...] Their attitude and work ethic was a pleasure to experience. I can only imagine the impact of these students on your program! It must be a real treat to have these wonderful young people in your band. Read an open letter from a mother of five home schooled children, and an endorsement from a homeschool mom in Ypsilanti. Donations represent one of only two income sources for NHME, the second source being student tuition. NHME strives to keep a fee structure that is affordable to all of our homeschooling families. 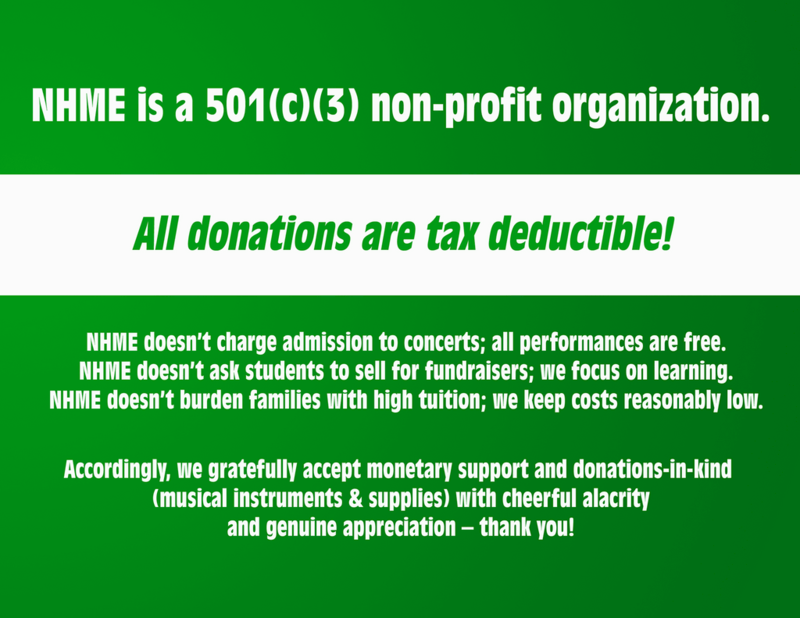 Under its 501(c)(3) tax-exempt, non-profit charter, NHME does not charge admission to concerts which are presented as a service to our communities. NHME, therefore, looks to grants and donations to continue our misison. We are opposed to asking our students to sell merchandise to aid the group. We feel such efforts detract from our musical educational efforts. There are several ways to help: look for our donation drums at concerts, appearances, and at the local fairs; shop at Busch's grocery with your MyWay card attached to NHME and participate in their 5% cashback for education program; when shopping online, consider designated NHME as your charity of choice at AmazonSmile; and lastly, donations-in-kind of tangibles like music supplies and old, unused music instruments are heartily and gratefully accepted! Is there a vintage instrument of some kind or another hiding tucked away in a dusty closet somewhere? Does the attic hold a largely forgotten but venerable old instrument from yesteryear just waiting to be picked up and played again? Got a horn that hasn't been played since elementary school? Perhaps there is an instrument that belonged to a great-grandparent hiding under the bed? They could all be given new life in the hands of an appreciative and eager young musician who will grow with it and mature into one of tomorrow's leaders. Just can't bear to part with that ol' favorite instrument of yours? That's ok—bring it to class and come join us! Donald S. "Doby" Dobrosky, Sr., founder, CEO emeritus, director, and board advisor, holds a B.A. in economics from Lake Forest College and a second B.A. in music from Skidmore College. Mr. Dobrosky performed with the Nutley Symphony, Montclair Symphony, Skaneateless Summer Band, and even with his own dance band at local clubs and venues. Doby was also a USNR bandsman and directed the Naval Air Technical Training Center Band in Memphis, TN. Doby served as a percussion specialist with Lenawee Schools, as staff percussionist for the Croswell Opera House, as principal with the Lenawee Pops Orchestra, and as founder of the Tecumseh Pops Orchestra. He also directed the pit orchestra at the Tecumseh Center for the Arts, conducted the Saline Players, appeared with the Ann Arbor Light Opera, and performed with the Dexter Community Band. Ms. Katherine O. Johnson, co-founder, director, and board advisor, holds a B.A. in English literature from Swathmore College and a B.Mus. from University of Michigan majoring in choral education and piano. She also studied theatre at Cornell for two years. Kathe teaches piano privately, performs on organ, plays ‘cello, and strums bluegrass guitar. She has worked extensively with area theatre groups, jazz ensembles, and even a rock band. Ms. Johnson currently sings with the Willis Patterson Our Own Thing Chorale. Ms. Janet Cannon began playing double bass at the age of 10 and participated in a youth symphony tour to Mexico as a double bass soloist. After earning a B. Mus. from the Manhattan School of Music, Ms. Cannon returned to Mexico to engage with various orchestras including the Sinfonica National de Bellas Artes. Later in France, she studied with the extraordinary bassist Fancois Rabbath and earned a teaching diploma from the Institut Francois Rabbath. She also completed a diploma in historical performance practice at the Conservatoire National de Toulouse; received scholarships from the University of Michigan and from the Center for the Education of Women to complete a Master's Degree, studying with Dr. Diana Gannett; and completed training in the Suzuki method to better serve young students. Ms. Cannon teaches privately young and old alike getting beginners off to good starts. She also directs the Ann Arbor Recorder Society. Reuven AnafShalom, holds a B.A. in french horn and orchestral conducting from Rubin Academy of Music in Tel-Aviv and a M.A. in orchestral conducting from Indiana University. Reuven also earned a Teacher’s Certification in music and math from North Carolina Central University. He has been teaching music both in-school and individually for 30 years. He directs community musical theater and regularly calls and plays for English Country and Contra Dances. 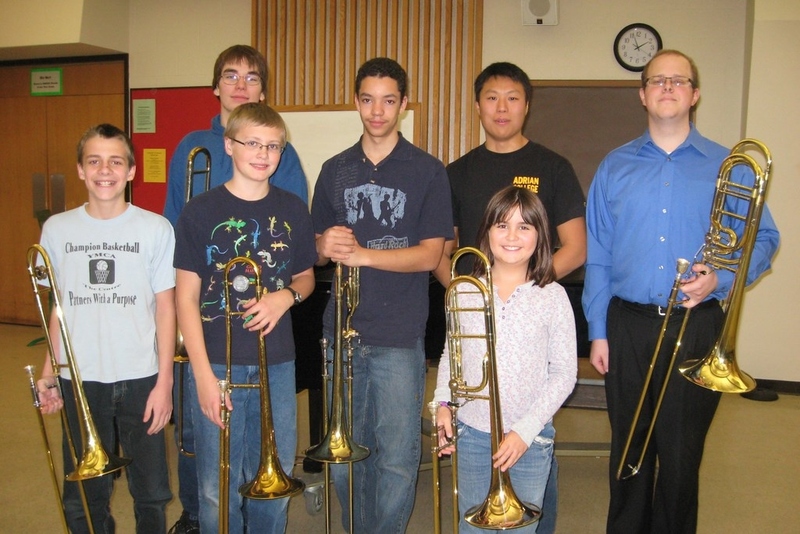 He teaches brass, winds, piano, theory, and provides chamber music coaching and solo & ensemble coaching. So what exactly is NHME? Although we use terminology familiar to educational establishments and structure our service similar to academic environments, NHME is not a school, private or otherwise. Grades, report cards, or transcripts are not recorded or given, and credit may or may not be granted by other institutions for participating in NHME’s programs. NHME is not a for-profit, business enterprise either, even though we strive to be professional in all of our operations. NHME is also not a collection of tutoring services, although our directors and instructors may individually be qualified to offer tutoring. NHME is neither a professional association nor an academy even though NHME’s methodology has become a model for other organizations across the nation and despite many of our musicians either currently or later in life performing professionally. NHME does not set, establish, or promulgate standards to other organizations. NHME is a collection of civically inclined and musically minded volunteers. We provide an opportunity for pupils outside of traditional public or private school settings to play, perform, and grow in a musical ensemble setting—an avenue of artistic expression and intellectual study not normally available to this underserved body of students. To further this end, NHME draws from the best musicians, directors, and conductors in the local area to share their experiences, provide their expertise, and offer their mentorship to our ensembles. NHME accomplishes its mission at a cost comparatively lower than other groups or methods. 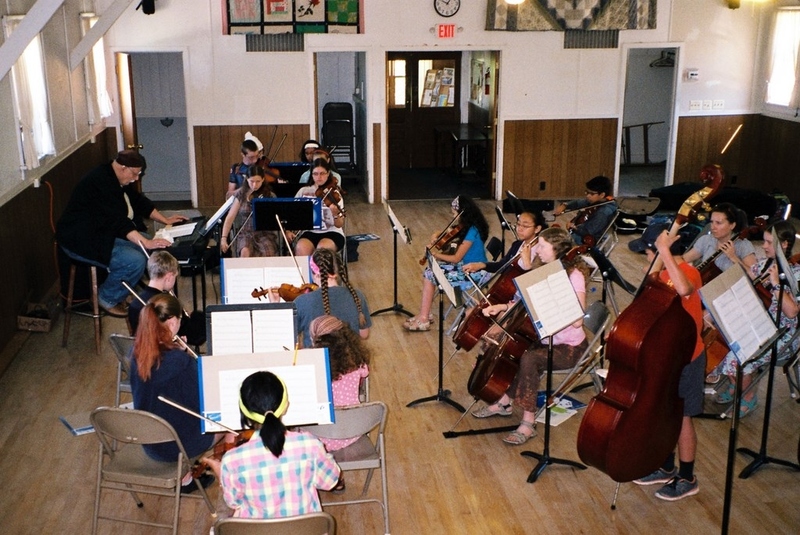 Our ensembles perform and provide concerts admission free to the general public and to our surrounding communities. NHME is therefore a certified non-profit, tax-exempt, corporate entity with recognized charitable status. NHME is funded solely by donations, grants, and member contributions. We’re parents, grandparents, uncles, aunts, and guardians just like you looking for ways to help our children grow into the best possible future versions of themselves, because we believe that we’re training tomorrow’s leaders today through music. To achieve that end, we strive to provide top-quality, musical-ensemble experiences at an affordable price point as a service to our community. Our motto: excellence, first learned in music, incorporated into habits, that transfers to and guarantees success in other endeavors and pursuits.